If you were not at the Efua T Sutherland Drama Studio at the University of Ghana on Friday 10th or Saturday 11th February 2017, then you missed out on a lot of action and entertainment. Perhaps, you already have an idea How You Want It, but I definitely wanted to see the highly publicized #Howdoyouwantit? How Do You Want It? is a romantic comedy- play about the love stories of three ladies: Akua, Owusuaa and Ohemaa. It is an Anod Communications production, written and directed by an old classmate of mine Anita Oduro., who I’m very proud of. Anita is a playwright to watch out for. She has written and directed four plays in two years, including The Perfect Man and ATM and she promises to continue to treat lovers of theatre to even better productions. I went to see the play on its first day, Friday. The well-attended show was hosted by a colleague MC Kwabena Quainoo and was opened with live poetry and musical performances as a curtain raiser, which set the tone for a romantic night. At the end of the show, patrons were treated to well – choreographed and freestyle performances by all six casts and Biggie Happiness, the plus size, affable young man who has been trending on social media recently for his delightful dance moments at weddings and other social events. I begin with Akua and the two men in her life. Akua, a highly educated, professional lady is very lucky with relationships as she has no problems attracting suitors. But, she doesn’t know “how she wanted it.” She is torn between the love of the physically appealing, best friend of hers of many years, Leslie and the sugar-mouth coated pot-bellied but good looking Ohene. Then we have Owusuaa, the cougar. She is not very lucky with relationships due to her feminist and bossy opinions and attitude. To her, a woman must call the shots in a relationship or marriage. She is therefore was not ready to settle down with just any man who would control her and dreams of a “Mr.Georgeous” who would put her in charge. Until then, she prefers to date younger men. Ohemaa likes her men old. Yes, sugar daddies I mean, as all she cares about is the cash. Getting into trouble with the wife of one of such sugar daddies does not even deter her from pursuing more older men. The writer employs situational irony in Ohemaa’s character as given her name, which means Queen, one would expect to see a sophisticated, highly educated woman who speaks good English. She is however the exact opposite. Even though she looks sophisticated on the outside; thanks to her sugar daddies who give her enough cash to buy trendy clothes and Brazilian Human head (lol), she is nothing close in character to a Queen. Finally, “Maame Nkran” (Ga Woman) I choose to call her the wife of one of Ohemaa’s sugar daddies. She is a minor cast but her role is as important as that of any other character and she teaches a great lesson potentially to the ladies chasing after other people’s husbands. The writer does a great job using all the three main parts of plots in conventional stories. In the rising action, we meet and begin to relate to the various characters and the story begins to build up. In the climax, being the highest point, some revelations are made and some complexities arise. For example, Akua gets more confused and eventually gives in to Ohene and gets disappointed; yet Leslie wouldn’t give up on her. 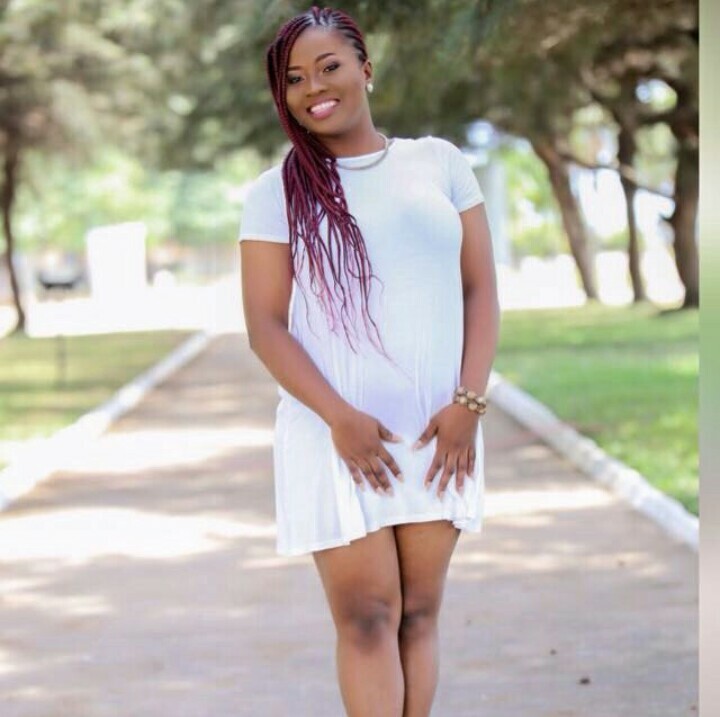 The revelation of a once amorous affair between Owusuaa and Ohene and an understanding of why Ohemaa chooses the path of sugar daddies instead of dating men her age, which we got to know, is as a result of a bitter past.Shegets impregnated by her High School boyfriend in the village who denies responsibility. She loses the pregnancy and her cousin, Akua brings her to the city to live with her. This moment of epiphany seems so real one could easily get carried away with emotions. Finally, in the falling action, all complexities are resolved. Akua gets married to Leslie, broken friendships are mended and Owusuaa and Ohemaa who never really got along end up the best of friends. 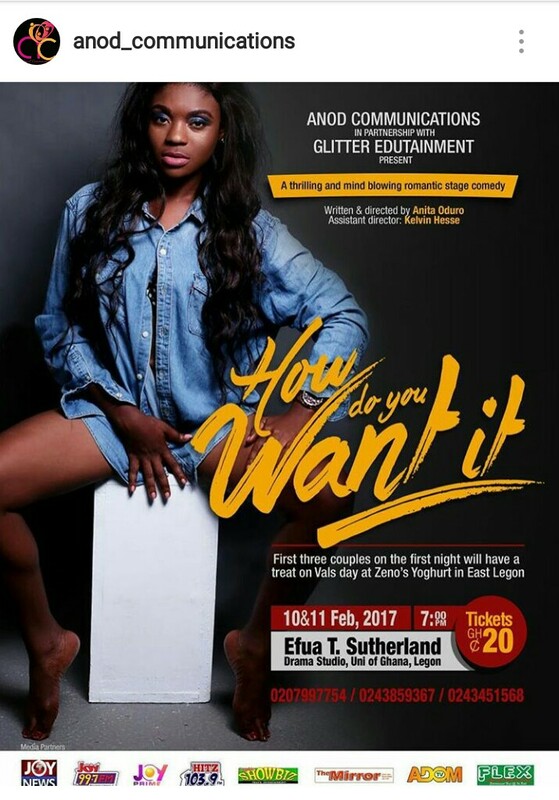 #Howdoyouwantit in my opinion, is a well-thought out, well-written and excellently staged play but not without a few drawbacks. The character of Ohemaa, though it achieves its purpose of being comical, I think is also a bit exaggerated, making some of her dialogue monotonous. Also, the continuous mention of “Owusuaa” by the character as an attempt to correct Ohemaa who calls her “Owusu” gets boring and I think the frequency can be minimal. Finally, the last scene is too prolonged. My observation is that until the arrival of Leslie and Akua from the Marriage Registry, Owusuaa, who is left alone on set for too long, seems a bit confused about what to do next. Otherwise, I had a good time and I say kudos! to Anita, the cast and entire production crew.